Daddy Bear and Junior are working out. Astronauts and police officers should always be in tip-top condition. Junior! You’re supposed to patrol the town! Are you working or playing Tetris?! Junior is looking for frogs. But the penalized guy must be a voodoo priest, who has cursed Officer Bear. And Junior is turning into a tiger. Fortunately, Junior has always some magic medicine with him. So, some minutes later he’s arresting the suspect. At the police office, Junior dropped across his old acquaintance. She looks so innocent at first! and some reading police officers. Junior goes to gym to be in good form. At the end of the day he is promoted. Daddy Bear is proud of him. Daddy Bear is repairing his space ship. And Baby Bear, who’s chosen a scientist career, is making one discovery after the other. I wonder, how Goldilocks can tell her hubby and brother-in-law apart? Trying to catch the criminal. This woman looks so suspicious! Having asked this nice girl some questions, he knows exactly who to arrest. 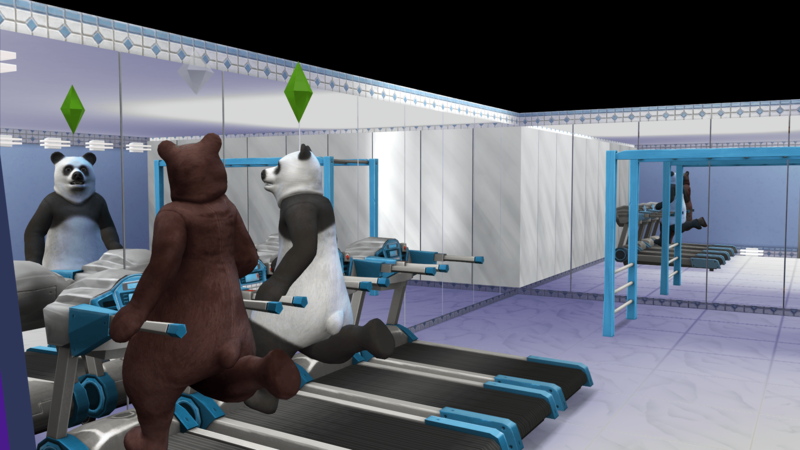 Posted on April 19, 2016 by chealsycatPosted in Goldilocks and Bears (Sim fairy tale)Tagged #Goldilocks and Bears, #Sims 4, bears, Goldilocks, Sims.